Born and raised in the Cleveland Area, DaWayne Watkins has witnessed the tremendous change and growth that’s transformed the area into one of the Eastsides most sought-after destinations. Returning to Lake County after attending College, he has taken the knowledge learned in a career of Business Management to segway into Real Estate and fine homes. 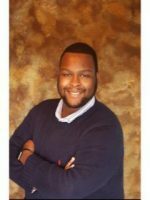 His exceptional knowledge of the market through-out Northeast Ohio, coupled with his seasoned insider’s expertise having built, lived in and sold numerous properties throughout the area, makes DaWayne the unequivocal go-to resource for all your real estate needs! Whether you want a quaint vacation home in town or an exceptional luxury residence on the water, DaWayne knows everything there is to know about locations, value, property types, pricing, and building ? not to mention every possible attraction to entertain you and your family! He thoroughly loves his work, and enjoys the fantastic people he meets every day ? many of whom become his neighbors and friends. “I have the best job in the world! It’s like I’m in Vegas every day; you just never know what will happen when you go to work in the morning, and to me that’s very exciting!